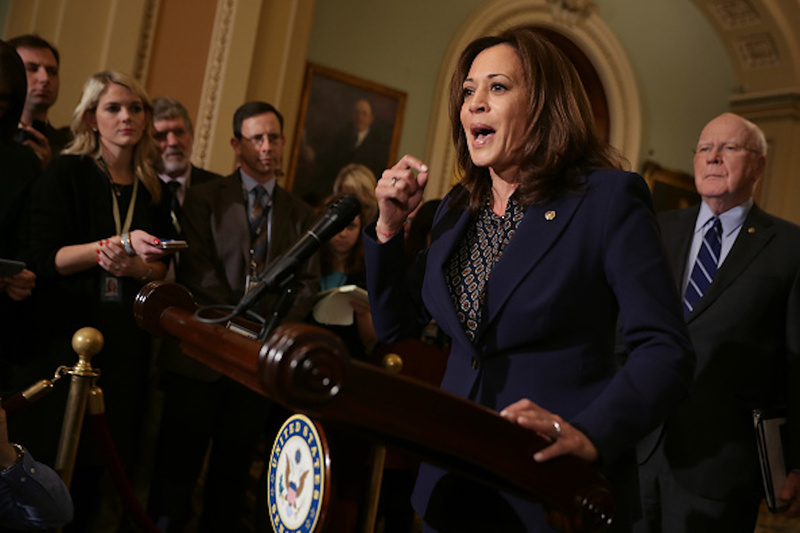 Democratic California Sen. Kamala Harris says she will support a criminal justice reform bill backed by President Donald Trump in a statement released Monday. Harris says she will support the bipartisan bill, called the “First Step Act,” which Trump also endorsed. The bill includes both prison and sentencing reforms, and Republicans want to pass the legislation before Democrats take control of the House on Jan. 3. “For years, we’ve been offered a false choice on criminal justice policy. It’s a choice that suggests that we are either ‘soft’ on crime or ‘tough’ on crime instead of asking: ‘Are we smart on crime?’ Americans deserve a criminal justice system that is both fair and smart. By passing the FIRST STEP Act, we can make our criminal justice system smarter,” Harris said in a Monday statement. Senate Majority Leader Mitch McConnell said in a floor speech Tuesday it is likely the Senate will work between Christmas and New Year’s “if necessary” to pass criminal justice reform legislation before 2019. Funding for the government was set to expire Dec. 7. However, the House passed a two-week resolution to avoid a government shutdown by unanimous consent in a voice vote, meaning members did not have to be present for the vote.